Camerabay visits NCTU EE and Duckietown. 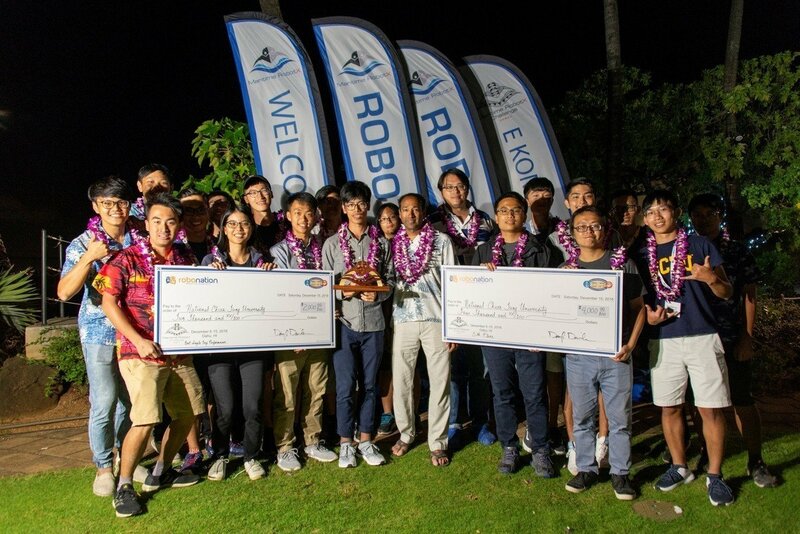 Team NCTU competed in the 2018 RobotX Challenge, Hawaii. 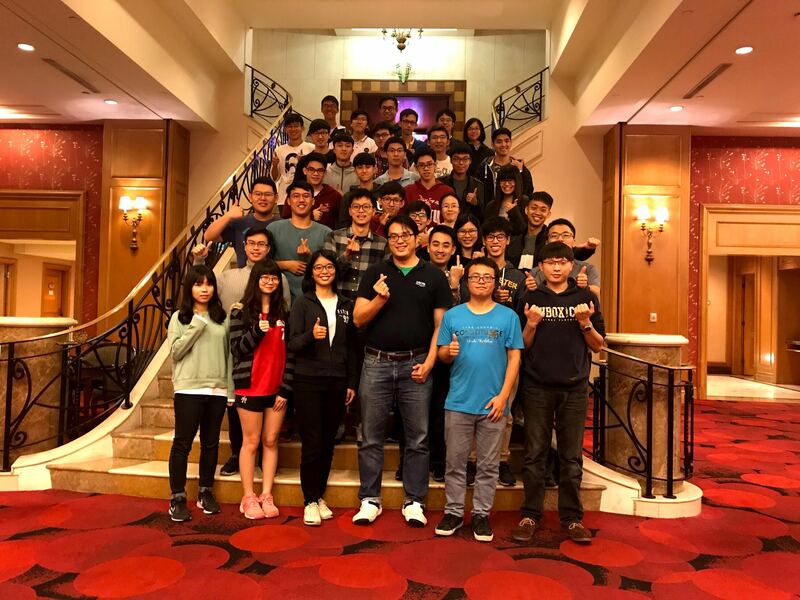 At the warm moment, We invited all the team members of the laboratory included AIDO, RobotX, Mobile Manipulator team to have a dinner together. Thank you for your hard work for the research. Your efforts take ARG to the world. This day we got together to prepare the shipping process for WAM-V and leave a good moment by the picture. 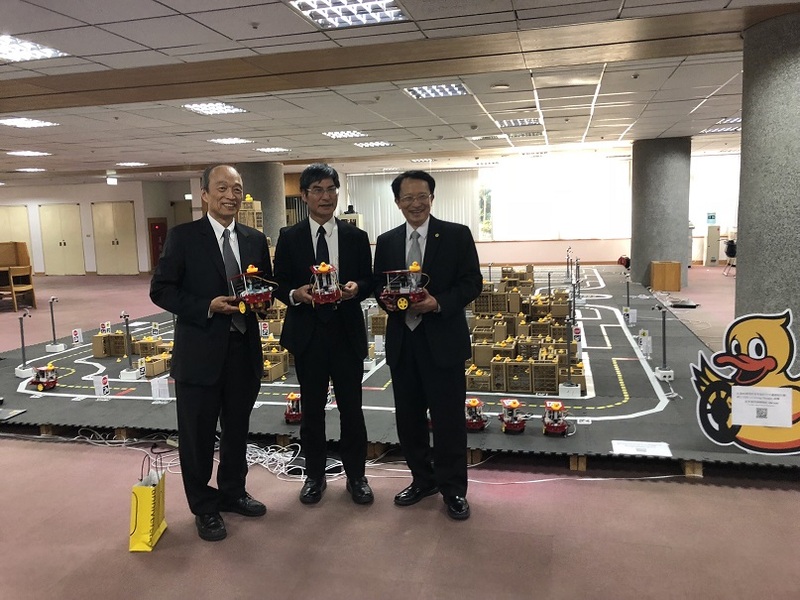 The Minister of Science and Technology (in the middle of picture), other executives , and The NCTU President took a photo in the background of the AI driving Olympic competition venue Duckietown. 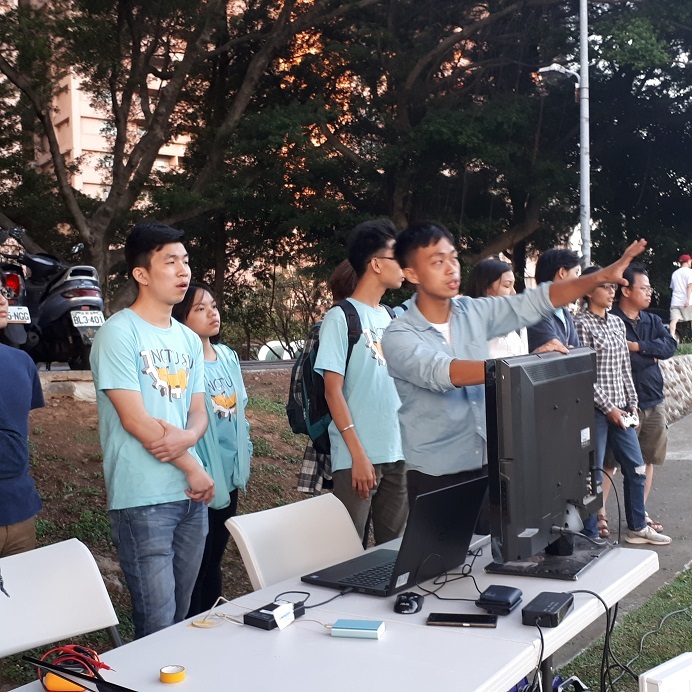 Student Association of NYMU visited RobotX NCTU, team member David are introducing the perception, artificial intelligence technology which our team used. 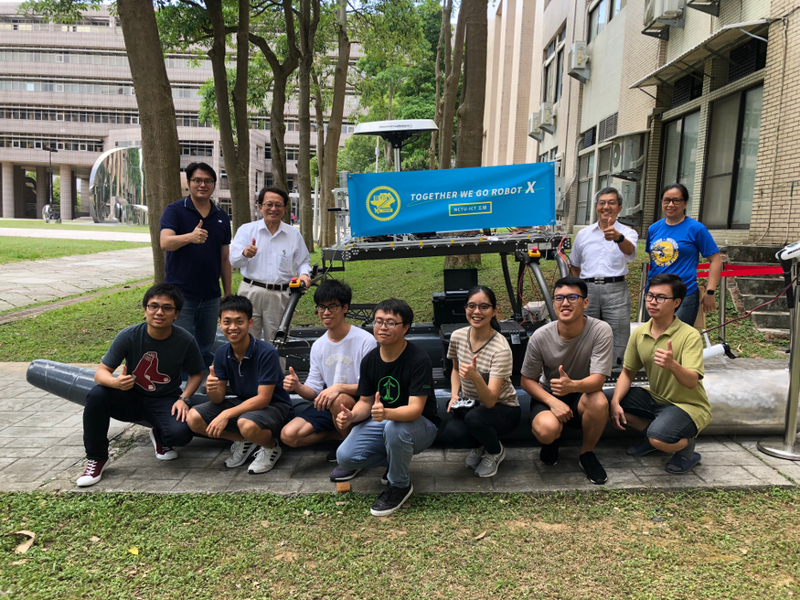 The NCTU President M. C. Frank Chang and Senior Vice President C.-H. Chen visited us for our latest work of RobotX! Last year, the cool guys redefine "AI" as "Authentic Identity", hoping to trace back the essence of human beings and explore the true self. 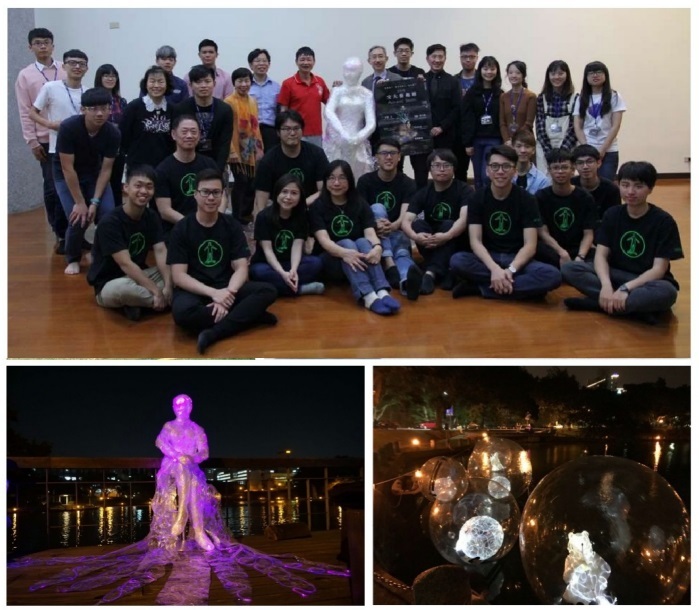 We cooperated with team from Institute Of Applied Arts to build "fiber installation arts" and showed the works on 2018 NCTU Art Fair. We put our vehicle in the middle of the lake with a crane. 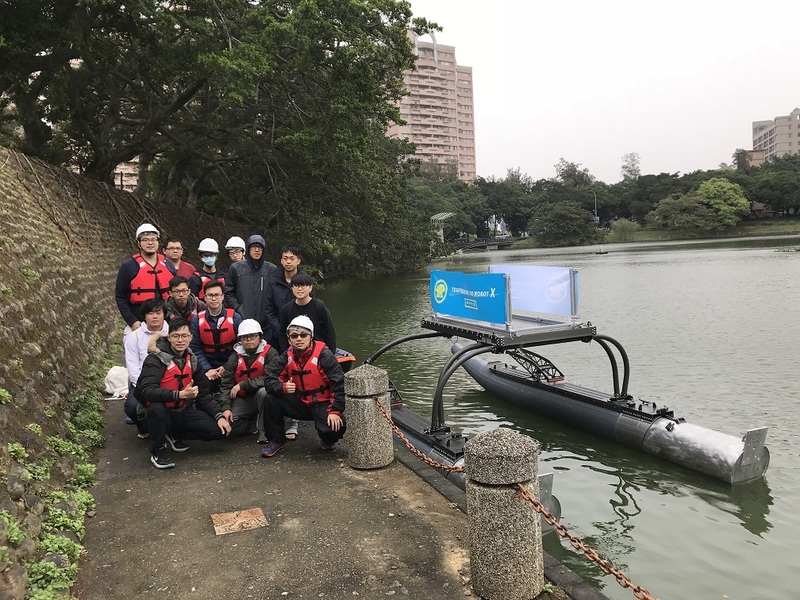 It represents the topic of "Unmanned Surface Vehicle" and will be displayed on the NCTU 60th anniversary celebration. Students visited Duckietown NCTU through the "Star Plan in Taiwan's College Entrance System"
The students who got an acceptance for NCTU through the "Star Plan in Taiwan's College Entrance System" visited the Duckietown. 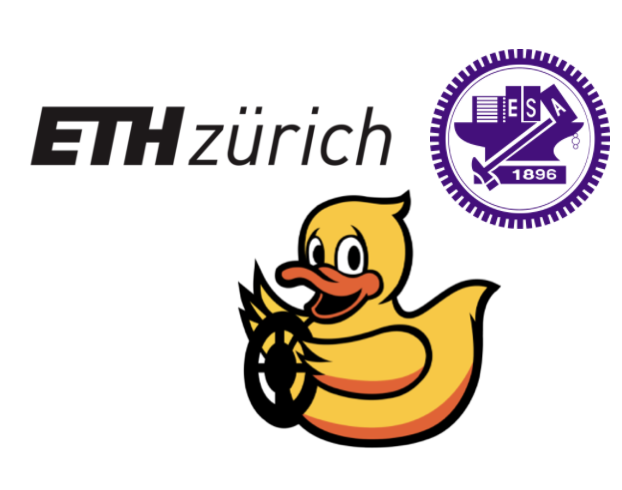 Dr. Wang and Eric Lu was invited to talk about the Duckietown project that utilized various sensors to implement automatic driving. 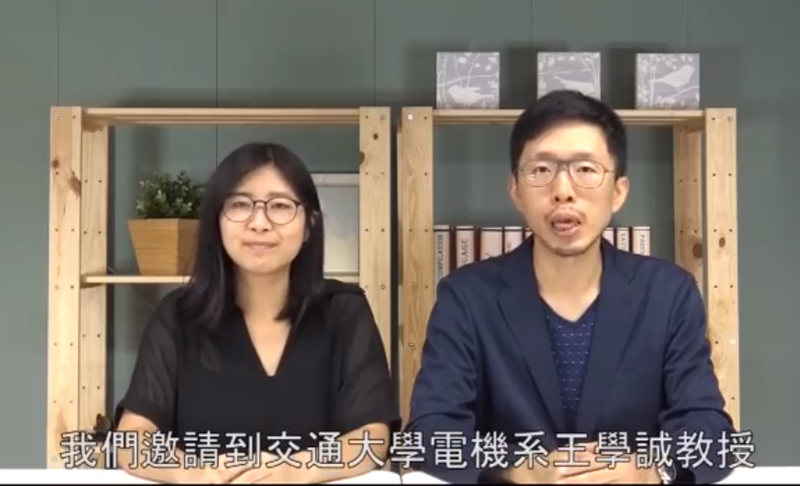 In addtion, they talked about the industrial development in Taiwan. How the robotic technology will overcome the deadlock for traditional industry. 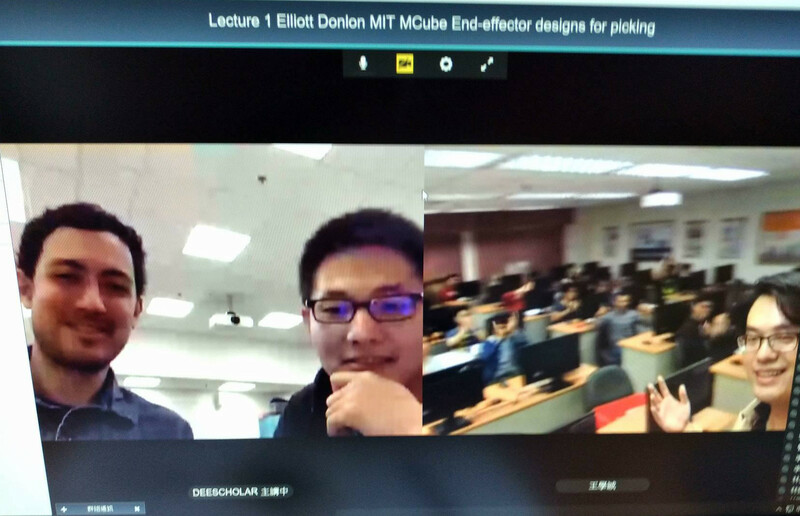 Congrats to ARG students and collaborators in UMass Boston and Italy. 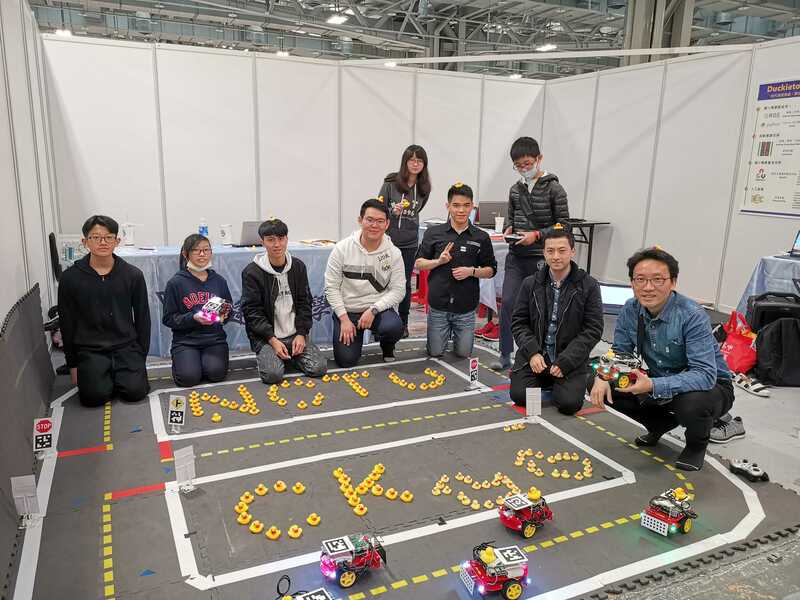 NCTU will compete the RobotX Challenge in 2018. 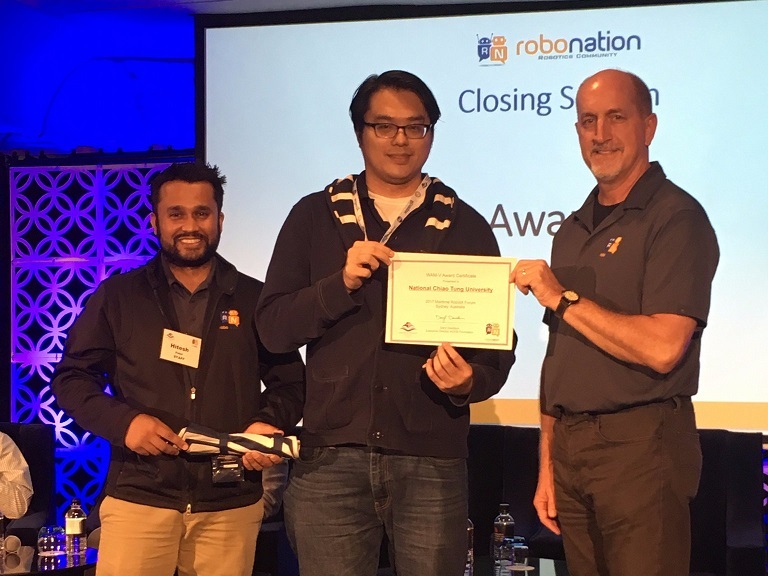 Prof. Nick Wang and David Chen participated the 2017 RobotX Forum in Sydney, and received the award. 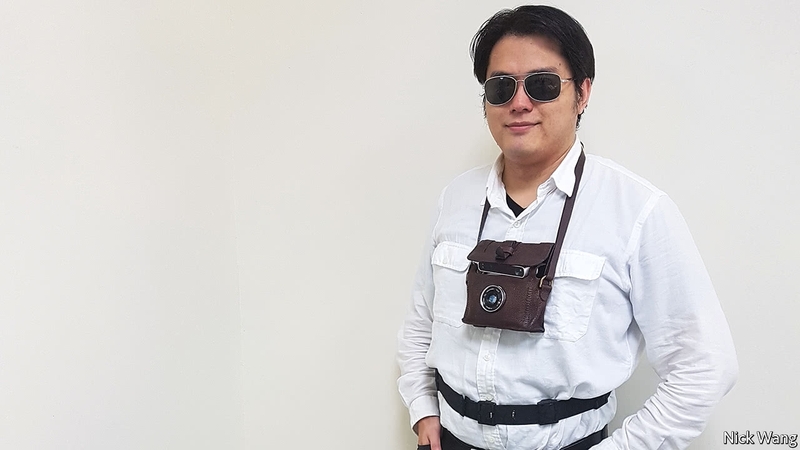 Prof. Nick Wang was in the inaugural RobotX competition was held in Singapore in Oct. 2014. 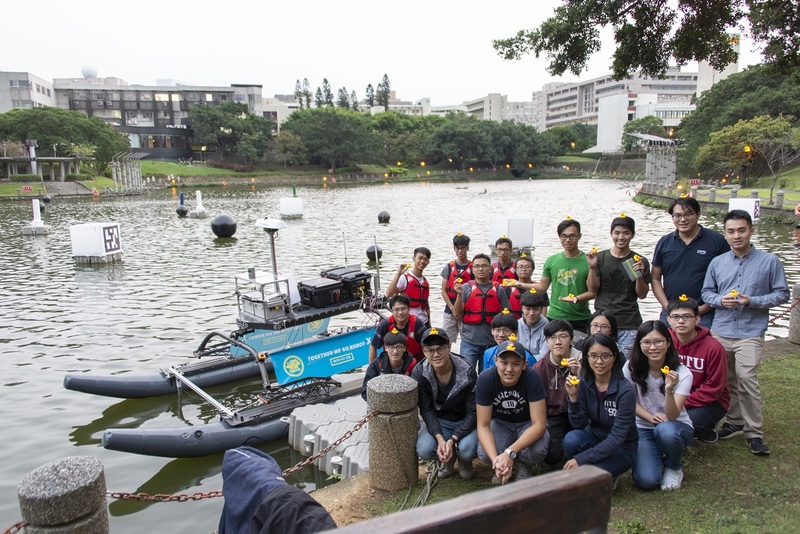 The purpose of the competition was to challenge teams to develop new strategies for tackling unique and important problems in marine robotics. Ultimately the MIT/Olin team narrowly won first place in a competitive field. 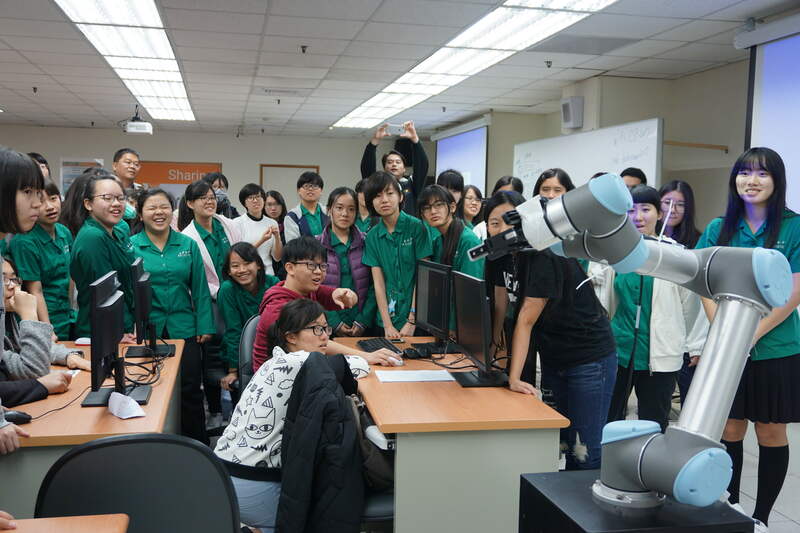 80 Taichuang Gril's High School students visited NCTU and our Robots! 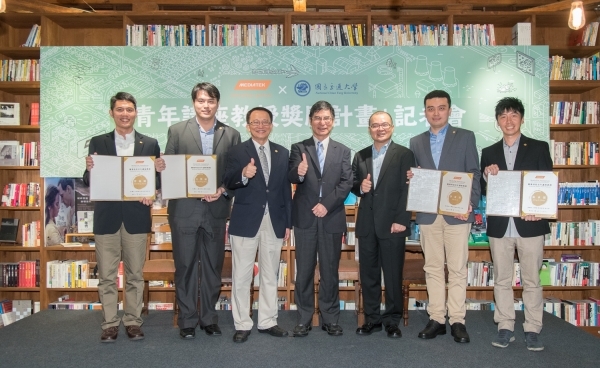 Thanks to the Chinese Institute of Electrical Engineering, Taiwan and Department of Electrial and Computer Engineering, NCTU. 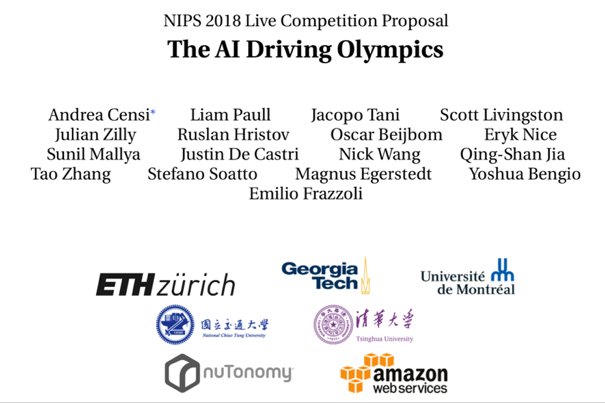 It is our pleasure to invite the key members in the MIT/Princeton Team for the Amazon Picking/Robotics Challenges. 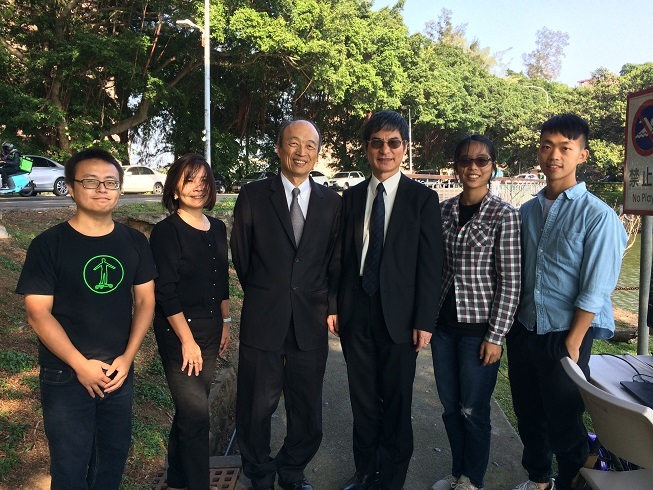 Special thanks to Peter Yu who co-organized the event. 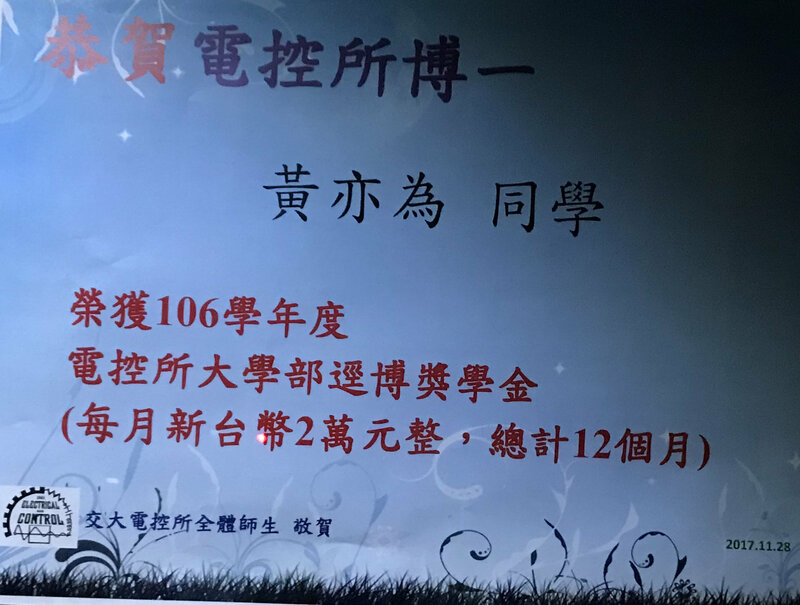 This is an official course in NCTU with 1 credit for undergraduate students. 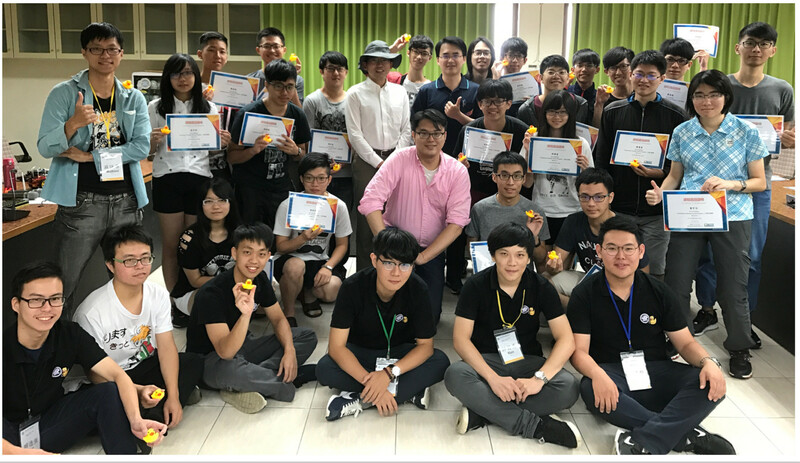 Prof. Nick Wang and Monica Lin showed Duckiebots and introduced the missions of the graduate robotics program in NCTU. 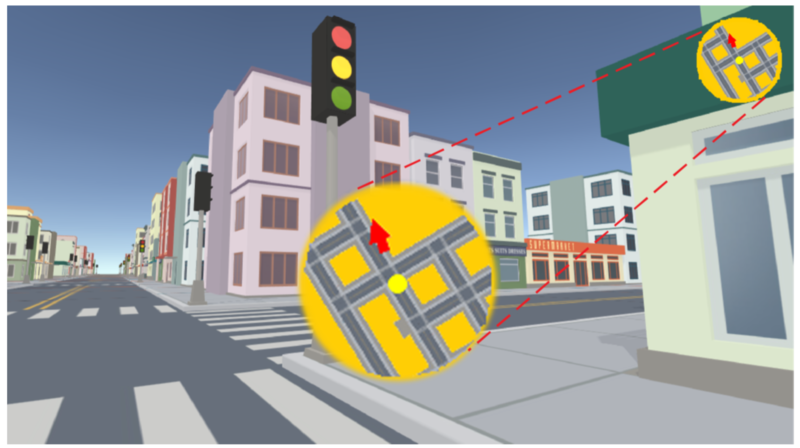 Transactions on Visualization and Computer Graphics (TVCG) is the top journal in computer graphics. 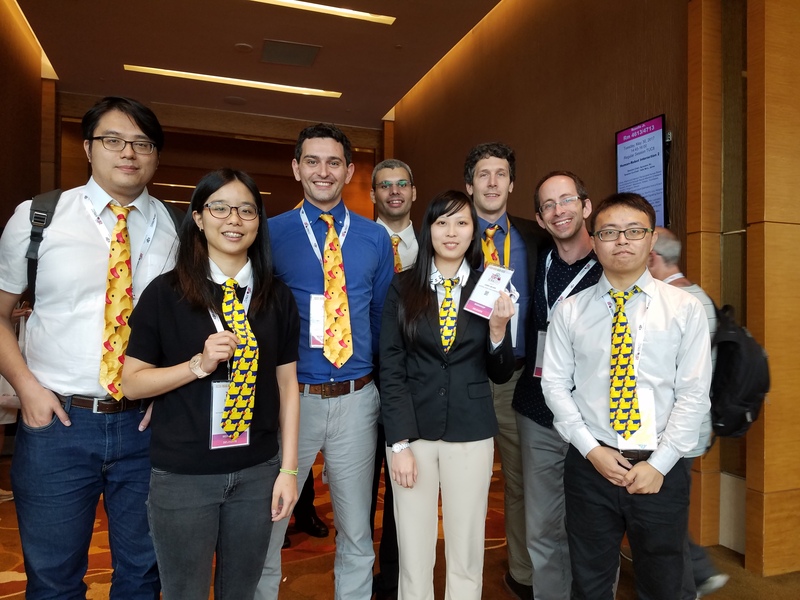 Thanks to Craig Yu, Quincy Huang, and the colleagues in UMass Boston, and congrate Monica Lin for her first journal paper. 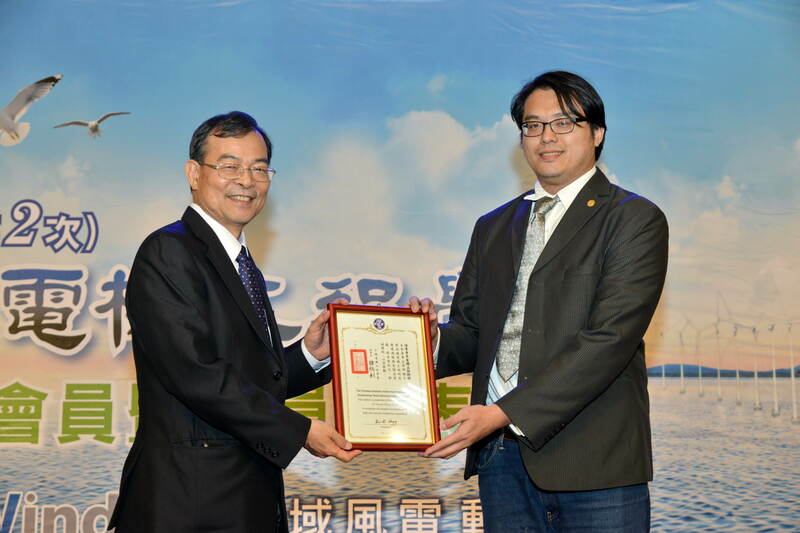 Congratulate Daniel Huang who received the PhD program scholarship. Monica Lin worked as an intern in the startup company In.Sight in Italy. 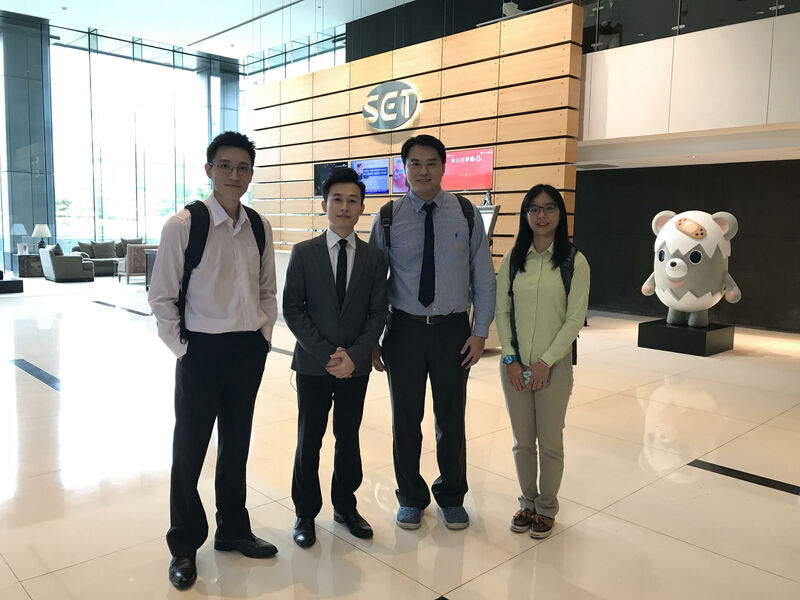 Brian Chuang, Monica Lin, Jihshi Chen, and Prof. Nick Wang participated ICRA 2017 in Singapore and presented two papers. 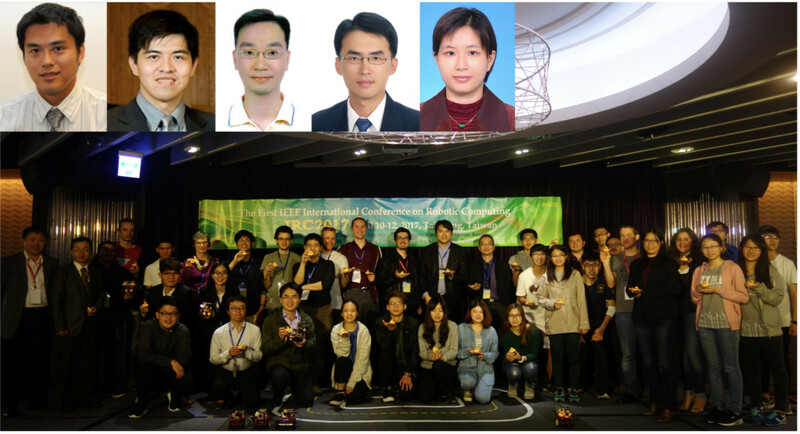 Brian Chuang, Monica Lin, Jack Lin, and Prof. Nick Wang hosted a tutorial in the Robotic Computing Conference in 2017.